The Jalairids were a Mongol Jalayir dynasty which ruled over Iraq and western Persia after the breakup of the Mongol khanate of Persia in the 1330s. The Jalairid sultanate lasted about fifty years, until disrupted by Timur's conquests and the revolts of the Kara Koyunlu ("Black Sheep") Turkmen. After Timur's death in 1405, there was a brief attempt to re-establish the sultanate in southern Iraq and Khuzistan. The Jalairids were finally eliminated by the Kara Koyunlu in 1432. 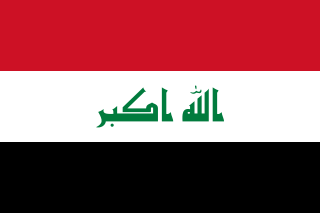 The current territory of the modern state of Iraq was defined by the Anglo-Iraqi treaty of 1922 which resulted from the 1920 Iraqi revolt against British occupation. It centers on Lower Mesopotamia but also includes part of Upper Mesopotamia and of the Syrian Desert and the Arabian Desert. The history of this area has witnessed some of the world's earliest writing, literature, sciences, mathematics, laws and philosophies; hence its common epithet, the Cradle of Civilization. The Mongol Empire existed during the 13th and 14th centuries and was the largest contiguous land empire in history. Originating from Mongolia, the Mongol Empire eventually stretched from Eastern Europe and parts of Central Europe to the Sea of Japan, extending northwards into Siberia, eastwards and southwards into the Indian subcontinent, Indochina and the Iranian Plateau; and westwards as far as the Levant and the Carpathian Mountains. The Delhi Sultanate was a sultanate based mostly in Delhi that stretched over large parts of the Indian subcontinent for 320 years (1206–1526). Five dynasties ruled over the Delhi Sultanate sequentially: the Mamluk dynasty (1206–90), the Khalji dynasty (1290–1320), the Tughlaq dynasty (1320–1414), the Sayyid dynasty (1414–51), and the Lodi dynasty (1451–1526). The sultanate is noted for being one of the few states to repel an attack by the Mongols, and enthroned one of the few female rulers in Islamic history, Razia Sultana, who reigned from 1236 to 1240. Hulagu Khan, also known as Hülegü or Hulegu, was a Mongol ruler who conquered much of Western Asia. 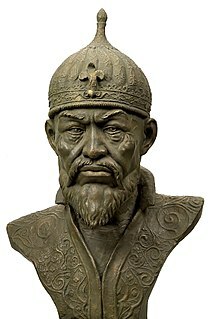 Son of Tolui and the Keraite princess Sorghaghtani Beki, he was a grandson of Genghis Khan and brother of Ariq Böke, Möngke Khan, and Kublai Khan. The Kara Koyunlu or Qara Qoyunlu, also called the Black Sheep Turkomans, were a Muslim Oghuz Turkic monarchy that ruled over the territory comprising present-day Azerbaijan, Georgia, Armenia, northwestern Iran, eastern Turkey, and northeastern Iraq from about 1374 to 1468. The Muzaffarid dynasty, sometimes referred as Ahmedabad dynasty, were sultans of Gujarat in western India from 1391 to 1583. The founder of the dynasty was Zafar Khan who was governor of Gujarat under the Delhi Sultanate. Zafar Khan's father Sadharan, was a Tanka Rajput convert to Islam, adopted the name Wajih-ul-Mulk, and had given his sister in marriage to Firuz Shah Tughlaq. When the Sultanate was weakened by the sacking of Delhi by Timur in 1398, and Zafar Khan took the opportunity to establish himself as sultan of an independent Gujarat. His son, Ahmed Shah I established the capital at Ahmedabad. The dynasty ruled for almost 200 years, until the conquest of Gujarat by the Mughal Empire in 1572. The sultanate reached its peak of expansion under Mahmud Begada, reaching east into Malwa and west to the Gulf of Kutch. The Muzaffarid dynasty was a Persian dynasty of Arab origin which came to power in Iran following the breakup of the Ilkhanate in the 14th century. At their zenith, they ruled a kingdom comprising Iranian Azerbaijan, Central Persia, and Persian Iraq. The Aq Qoyunlu or Ak Koyunlu, also called the White Sheep Turkomans, was a Persianate Sunni Oghuz Turkic tribal confederation that ruled parts of present-day Eastern Turkey from 1378 to 1501, and in their last decades also ruled Armenia, Azerbaijan, most part of Iran, and Iraq. Jalair is one of the Darliqin Mongol tribes according to Rashid-al-Din Hamadani's Jami' al-tawarikh. They lived along the Shilka River in modern Zabaykalsky Krai of Russia. After the Mongol conquest in the 13th century many Jalairs spread over Central Asia and the Middle East. Jalairs are one of the founding tribes of Mongolia's largest ethnic group Khalkha. Smaller clans named Jalayir are also found among the Inner Mongolians in China. The Jalayirs who stayed in Central Asia under the rules of Genghis Khan's older sons' descendants eventually adopted Turkic language. They are found among the Kazakhs of the Great jüz; also they are found among the Uzbeks, Karakalpaks, and the Kyrgyz. The Jalairs who went to Iran and Iraq found the Jalairid Sultanate in 1330, and expanded into Turkey. The state was then taken over by the "Black sheep Turkomans" or Kara Koyunlu in 1432. Smaller numbers of powerful Jalair families lived in Khorasan, Iran as well as in the Mughal Empire until the 19th century. This is a list of kings of Iran of the medieval Islamic period, AD 820 to 1432, arranged genealogically. Battle of Qarabagh was fought on February 4, 1469 between Aq Qoyunlu under Uzun Hasan and Timurids of Samarkand under Abu Sa'id Mirza resulting in the latter's defeat, imprisonment and execution. After the battle the Timurids forever lost any hopes of gaining Iraq or Iran back into their kingdom. The Battle of Chapakchur (Turkish:Çapakçur) was a decisive battle fought between Kara Koyunlu under the leadership of Jahan Shah and Aq Qoyunlu under the leadership of Uzun Hasan. Jahan Shah was defeated by Uzun Hasan in a battle near the sanjak of Çapakçur in present-day eastern Turkey on October 30, 1467. Bayram Khwaja (died 1380, r. 1351–1380 was founder of the Kara Koyunlu state. 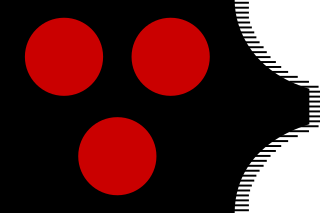 The Kara Koyunlu, also called the Black Sheep Turkomans, were a Muslim Oghuz Turkic monarchy that ruled over the territory comprising present-day Azerbaijan, Georgia, Armenia, northwestern Iran, eastern Turkey, and northeastern Iraq from about 1374 to 1468. 1 2 3 4 Broadbridge, Anne F. Kingship and Ideology in the Islamic and Mongol Worlds, (Cambridge University Press, 2008), 157. ↑ Bayne Fisher, William. 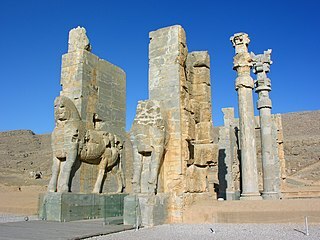 The Cambridge History of Iran, p.3: "From then until Timur's invasion of the country, Iran was under the rule of various rival petty princes of whom henceforth only the Jalairids could claim Mongol lineage"
Jackson, Peter (2008). "JALAYERIDS". Encyclopaedia Iranica, Vol. XIV, Fasc. 4. pp. 415–419. This Iraq-related article is a stub. You can help Wikipedia by expanding it.